SEE it Live! LISTEN to historical earthquakes! A seismogram recorded by the EQ1 seismograph. Home station for TX-ESP is approximately 25 miles north of Downtown Houston in the suburb of Spring, TX. The station code is E1TX. CLICK HERE OR HERE for a near real-time view of teleseismic wave activity recorded here at E1TX. What does the Earth quaking sound like?CLICK HERE to listen to an earthquake. Want more information? CLICK HERE for E1TX Station information. 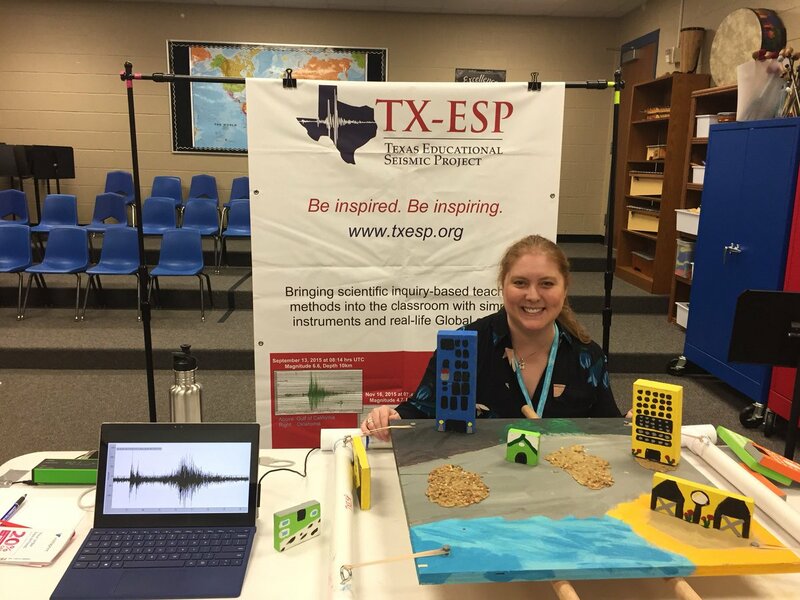 TX-ESP is a member of the IRIS seismic network and is a partnering institution with Weston Observatory’s Boston College Educational Seismology Project. TO READ GUEST BLOGGER JACKIE NOVATT’S ‘GOING TO THE THE LAB’ POSTS, CLICK HERE.